QUESTIONS? CALL US FIRST FOR THE QUICKEST RESPONSE. CLICK ON THE IMAGE(S) ABOVE TO VIEW FULL-SIZE. Please take some time to view our grading terms if you are unfamiliar with terms like "VG", "VF", etc. By purchasing or bidding you agree to all terms of sale stated below. All purchases and winning bids are final. You will receive emails about your win, and package shipping information. Please provide your email address for this purpose. Our feedback system is automated and feedback will automatically be left for the winning bidder after feedback is left for us. Message or call us at (813) 968-1805 if you have questions about your bid, buy it now, best offer or other general questions. The shipping and handling fee covers processing your item(s) both in and out of our warehouse, packing materials, consignment costs, and costs of transporting your item(s) to the post office, in addition to the postal fees. Since many items come from outside sources and incur consignment fees, we must impose this fee to continue to offer items at the lowest possible minimum bid. This allows us to offer the widest possible variety of material from many sources, while giving each bidder a chance to get the best available deal. We can combine shipping for multiple orders. Large/heavy items cost more than the standard rate to combine. Contact us first if you have any shipping questions. Shipment inside the USA: Buyer pays standard processing and delivery fee as indicated on the invoice. Priority, Express or other services are extra—please let us know and we will revise your invoice. Larger dollar items will require require a tracking number for security and safety. We accept returns within 14 days except for any professionally graded comic book. 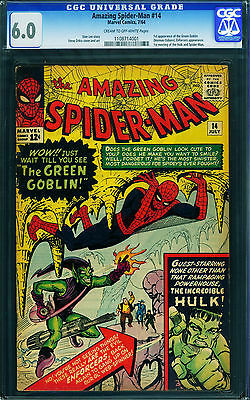 This includes CGC, PGX and CBCS graded comic books. Please be aware these items are NON RETURNABLE. No exceptions. Questions? Call us at (813) 968-1805 Monday-Friday 9ap-5pm EST.